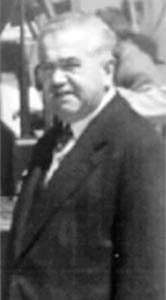 When the late Abdul Salam Bou-Azza El-Gezairi established his shared-room customs clearing setup in Beirut in 1945, he was confident that it is just the start of a long journey of success and growth, fostered by an ambitious dream that transcended the boundaries of his home country Lebanon and the Middle East region to the wide world. His quest was to attain distinction in his work, and his tools were quite simple: honesty, hard work, and perseverance. There were the basic components that shaped the deep-rooted corporate culture that has been effectively maintained and nurtured by his successors. With the recent introduction of the third generation into his family owned enterprise. Gezairi today is at its best, rejuvenating the founder’s vision with passionate enthusiasm and innovative mindset, as well as accumulating inspiring success stories for generations to come. Gezairi is able to keep pace with the challenges of the work requirements and with the global rapid changes by adopting a versatile system and a welcoming outlook to modernization and technology. Its strong family traditions are the ideal medium that binds its workforce together for long. The year 2010 marks the 65th anniversary of Gezairi that remains on its endless drive on the track of excellence hand in hand with its wide association of reputable partners, dedicated agents and loyal customers all over.